Globetrotting - worldwide horse riding holidays. 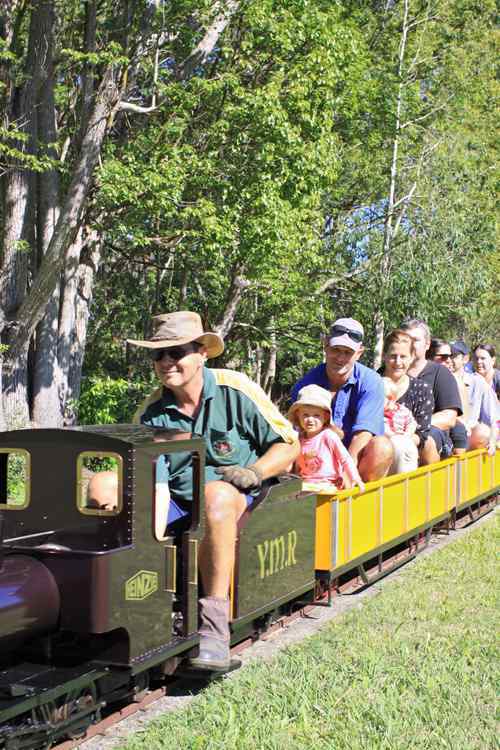 photo caption: Every fourth Sunday of the month in Nambour, we have the Little Steam Trains that chug around a leafy bush track, under bridges and alongside a creek. This is the second time we’ve been and Finn loves it. This Sunday she got to ride up front, her papa is behind her and my gorgeous sister and her baby boy Stirling in her lap. I’m told Finn shouted ‘choot choot’ the entire 5-minute trip.